I love Easter! well I love all Holidays! How can you not?! There are always so many things I wanna make around those days, that I can barely choose what to make! I wanted to make those for ages! 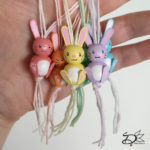 I hang them everywhere with easter these days! 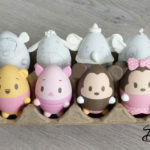 I love Ufufy’s, and with their pastel tones they are perfect for easter eggs! 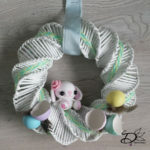 With recycled materials you can make this wreath with things you already have at home.